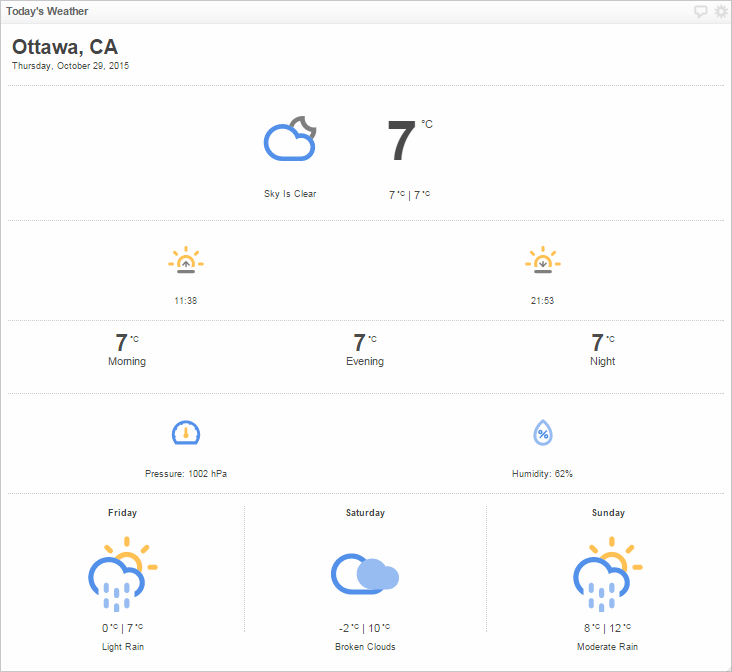 Klip Gallery: Weather – How can we help you today? There are endless options for visualizing your location's weather. To get started, pick any or all of these impressive weather Klips. 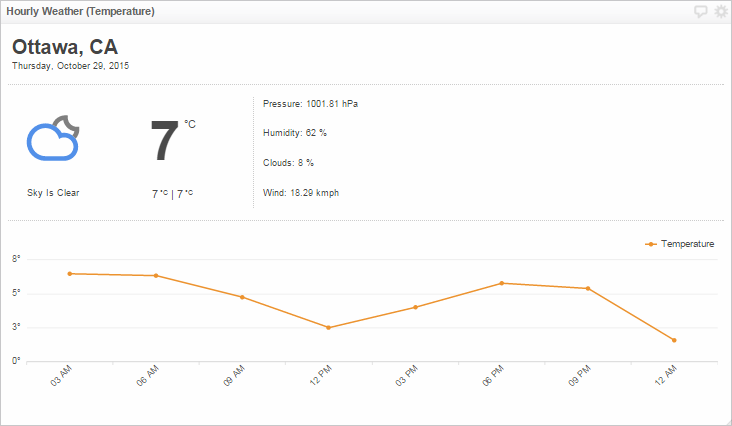 To add Weather Klips to your dashboard, simply click Add this Klip! 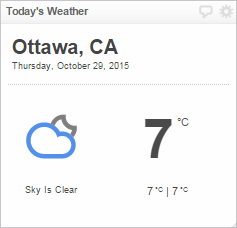 Use this hourly weather forecast to monitor your conditions today. Get all the details about today's weather forecast. Use this simple report for today's weather. 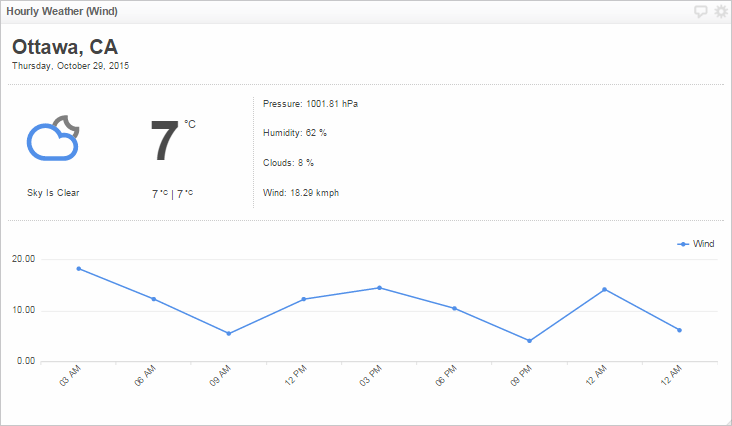 Discover the hourly wind conditions for your chosen location.